Komodo Island is an island located in the Nusa Tenggara Islands. Komodo Island is known as a habitat for native animals dragons. The island is also the Komodo National Park which is managed by the Central Government. Komodo Island in the eastern island of Sumbawa, separated by Sape Strait. Administratively, this island including the District of Komodo, West Manggarai regency, East Nusa Tenggara Province, Indonesia. 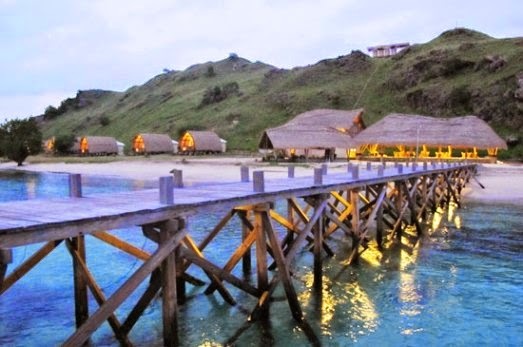 Komodo Island is the most western tip of Nusa Tenggara Timur province, bordering the province of West Nusa Tenggara. On the island of Komodo dragons animals live and breed well. Until August 2009, on this island there are about 1,300 dragons tail. Coupled with other islands, such as Island and Rinca and Gili Mota, their numbers totaled about 2500 tails. There are also approximately 100 individuals dragons in Wae Wuul Nature Reserve on the mainland island of Flores but not including the Komodo National Park. Besides Komodo, this island also store a variety of exotic flora Sepang wood by local people used as medicine and dye clothes, this nitak tree or sterculia oblongata in the believe is useful as medicines and seeds are tasty and delicious like peas. komodoPulau Komodo island is also accepted as a UNESCO World Heritage Site, because in the Komodo National Park, along with the island of Rinca, Padar and Gili Mota. 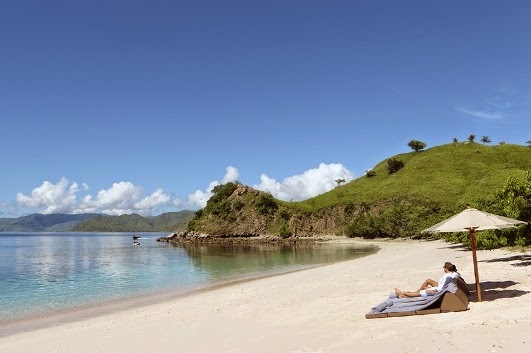 In 1910 the Dutch named the island on the south side of East Nusa Tenggara is the nickname of Komodo Island. This story begins with Lieutenant Steyn van Hens Broek who tries to prove statements about the presence of Dutch troops large animal resembling a dragon on the island. Steyn then kill the Komodo dragon and bring documentation to the Museum and Botanical Garden in Bogor to be investigated. In 2009, the Park has been named a finalist of the "New Seven Wonders of Nature" which was announced in 2010 by voting online at http: //www.N7W.com.Pada dated 11 November 2011, the New 7 Wonders has announced the winners while , and the Park entrance into the ranks of the winners along with, the Amazon Rainforest, Halong Bay, Iguazu Falls, Jeju Island, Puerto Princesa Underground River, and Table Mountain. 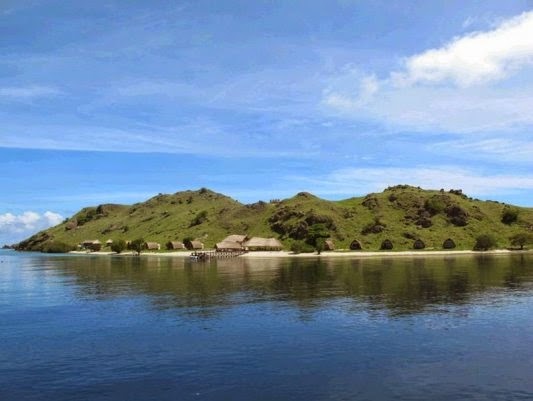 Komodo National Park is getting the most votes. Bdr KomodoTersedia flight every day and for the purpose of Bali-Labuan Bajo-Komodo Island Airport or Bali each spent 1.5 hours. Every day there are 2 to 3 flights from Bali to Labuan Bajo with TransNusa, IAT (Indonesia Air Transport), and Merpati. In addition, there is a twice weekly flight from Kupang. Connecting inter-island motor boat from Sape in Lombok are available every day when the weather permits, or boat from Bali and Lombok PELNI stop here every two weeks. Ground transportation from the East in mainland Flores like, Ruteng, Bajawa, Ende, Maumere and are also available. 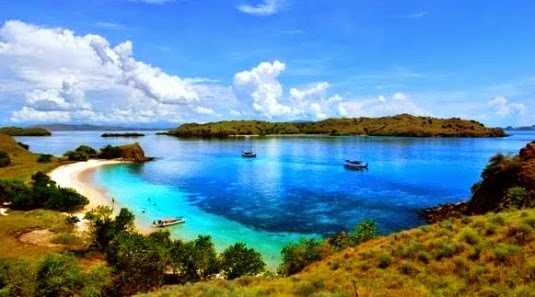 If you are interested to travel far in Flores, you can start from Maumere to the west like, Moni, Kelimutu, Ende, Bena, Bajawa, Ruteng, and lastly Labuan Bajo (Komodo Island) or the round trip.